Alexandre Frenel was born in Odessa in 1899, where he studied at the Academy of Arts under the painter Alexandra Ekster. He emmigrated to Palestine in 1919 and moved to Paris a year later. There, he studied at the Ecole des Beaux-Arts and at the Académie de la Grande Chaumiere. He also studied sculpture with Bourdelle and painting at Matisse’s studio. Alexandre Frenel spent time at La Ruche with the painters of Montparnasse. 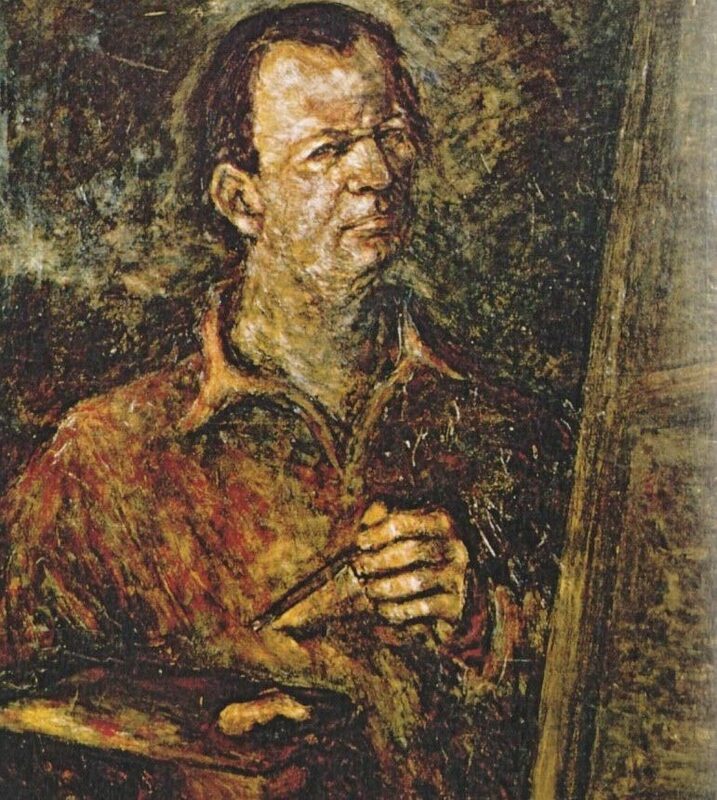 He exhibited at the Salon des Indépendants alongside other artists of his time, such as Soutine. They were both noticed by art critic Waldermar George. In 1924, the Dutch painter Piet Mondrian acquired two of his abstract paintings. He returned to Palestine in 1925, where he revolutionized painting. In Tel Aviv, he opened the first studio of modern art, where many great Israeli artists studied. 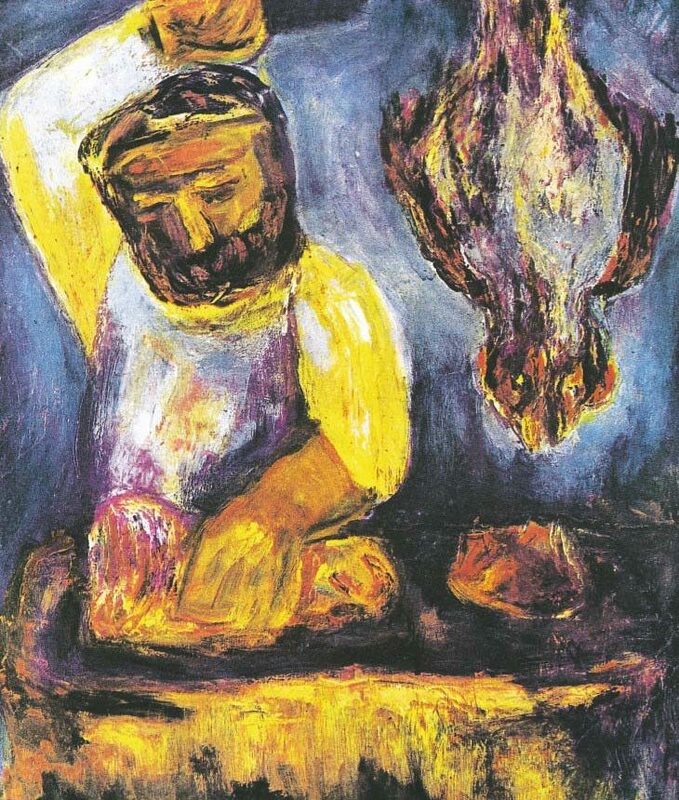 In 1949, together with other artists, he funded an important artists’ colony in Safed. A year later, he was the first painter chosen by the State of Israel to represent the Jewish state at the Venice Biennale. In 1979, before his eightieth birthday, a retrospective was held in his honor in Paris at the Orangerie du Sénat, inaugurated by the President of the Senate, Alain Poher. Alexandre Frenel spent his time between Paris and Israel. He died in Tel Aviv in 1981 and is buried in Safed.